Phoenix band Wild Earth released their long-awaited album Orchestrate in the final few days of 2014. The album is one brimming with praise for God that takes a few surprising musical twists and turns along the way. The band crowdfunded the record and have released it for free. 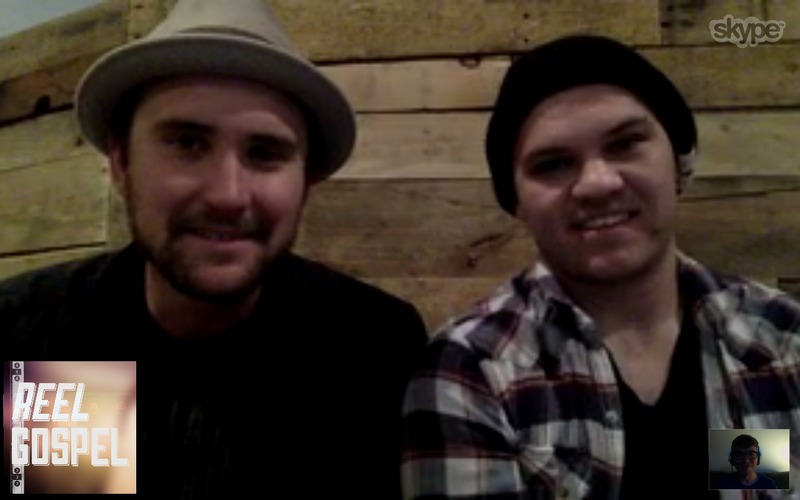 Just this week I spoke with lead singer Micah Bentley and lead guitarist Jason Richard, and we discussed the stories behind the songs on the album, the recording process, and how important eating lunch was in the whole process. SAM: Micah and Jason, where in the world are you guys? JASON: We’re in Phoenix, Arizona. SAM: Can you paint me a picture of what it’s like to live in Phoenix? JASON: It’s really hot in summer. MICAH: Yeah, we’re in the south-west part of the US. We’re one state over from California and the coast. We’re right in the desert. JASON: It’s actually raining today which is very rare. SAM: And I’m keeping you away from enjoying the rain! JASON: No, we’re inside which is a good thing. SAM: What happens when it rains – do people freak out? JASON: Yeah, nobody knows how to drive in the rain in Phoenix. Everybody just slows down. MICAH: Yeah you shouldn’t drive. It’s very hazardous. SAM: Where are the windscreen wipers? I don’t know which side the lever is! JASON: Right! And the streets aren’t built for draining, so everything just floods. SAM: Well I’m glad you’re indoors and you’re safe! Now I want to talk about your band, Wild Earth. How did you guys form as a band? MICAH: We both came from different bands locally, and knew each other through the music scene. We played around the valley with different churches, leading worship. I had it on my heart for a long time, to do original worship music and Jason shared that vision with me. So we decided to get together and formed Wild Earth. SAM: And what would you say your influences are as a band? Or what music has shaped your sound as Wild Earth? MICAH: For me, the big attraction to doing this was to do something… See a lot of my musical influences were outside of the “Christian music realm”. So I listened to a lot more bands like Minus the Bear and Foster the People. Bands like that. I just wanted to see and hear more of that in the Christian world, or at least music that proclaimed Jesus but of that nature. JASON: My favourite band is The 1975, who are in Australia right now! But then Walk the Moon, a little bit of Death Cab, and as far back as U2. SAM: I can definitely hear some of those sounds on this album, Orchestrate. I’d like to hear some of the stories behind some of the songs on here. First of all, Reconciled, there’s a line that I love on there: ‘Through your love you have set me wild’. What’s that line about? MICAH: Yeah, it almost speaks to the entire premise of what Wild Earth is. What I was trying to get at was that through the love of Christ we are called into a life that is wild and abnormal in a sense. Where sometimes it can come across that Christianity is boring, or we live these simple lives, I think it’s the opposite. I think we’re being called into this wild, radical life. That’s what it references. SAM: And Love First, how did that song come together? JASON: I remember when we were writing it, Micah came to me with that idea and that was the first song I heard before we started recording. MICAH: Ironically, it was the first song we worked on! MICAH: Lyrically it speaks to the heart of the band in wanting to proclaim the message of Jesus which actually is loving people first and foremost. I don’t think there’s enough of that going around. That’s the biggest message we can put out there, everything starts with loving people. JASON: The second verse of that song is probably my favourite part of the whole album. The guitar part – it’s my favourite part of the whole record. MICAH: He’s a guitar player – I’m not sure if you can tell! SAM: Oh, I can tell. I’ll have a re-listen to verse two! Now can you tell me about where you recorded this album? MICAH: Yeah, we did it with a good buddy of mine that I used to be in a band with. He’s a local producer and engineer out of his home. It was actually a really simple process. We did our first EP with him as well, so that went so well that we wanted to do it again. JASON: We spent a month there. The whole month of September. Every day, just writing and recording. It was awesome. Except for when the A/C went out. SAM: Oh, yuck. And no rain to run out and enjoy, either. There’s some huge sounds on this album – anthemic soundscapes – how did you capture or make these? MICAH: We were really experimental with tones. That was a big thing. We layered a lot of things. There’s a lot of elements and layers in the songs, of progressions and synths. I was so excited to make this record because it’s what I’ve always wanted to do and we were with someone who was capable of pulling off the sounds that we were wanting to achieve. Both drummers that played drums on the record are monster drummers – so they got the huge drum tones out of it. It was so fun. SAM: Sounds like a great time. Were there any funny moments in the recording of the album, or stories to share? MICAH: I guess there was the day that the air conditioning went out. It went out pretty early in the day, and we started noticing it was pretty warm in there. In September it’s probably 105 degrees outside, so it really began to cook in there with all the pre-amps and computers running. We were getting grilled by the end of the day. SAM: What time is acceptable for lunch when you’re recording in the studio? JASON: Anywhere between 10am and 2pm probably. MICAH: It was always when we’d hit a smooth spot of recording during the day, and it felt like a good time to break. There were a few days when we were really in the groove and we didn’t want to break it up. JASON: Usually it was when we were due to start guitars, we’d go to lunch. Because I can’t play until I’ve eaten. SAM: I see. What were the hot lunch spots around the studio? JASON: Have you heard of Chick-fil-A? SAM: We haven’t got it here in Australia but I have heard of it, yeah. JASON: It was between that and Chipotle. Those are the two big spots. MICAH: Yeah. There’s a dive Mexican food place right near us that we ate at quite a bit. We tried to change it up a little bit but we usually ended up at Chick-fil-A. SAM: It’s interesting actually, how many bands I speak to that love Chipotle. JASON: Oh yeah. Chipotle is my favourite restaurant. SAM: Again, we don’t have it here. So I’m hoping one day I’ll get to taste it. MICAH: It’s massive here. It’s everywhere in the US. It’s not hard to find. It’s a good, consistent place to eat. What’s your favourite lunch spot? SAM: Oh! I love Zambrero, which I think is our equivalent of Chipotle. Burritos with rice and beans. I think it’s similar. It’s delicious and addictive. Now that we’re all hungry, we should get back to the album! The song Evidence – it stands out as a slower, moodier number. What can you tell me about it? MICAH: That was kind of the surprise, sleeper song for me. I wasn’t sure how it was going to turn out. It scared Jason to even record it. It’s a lot more moody, the progression is pretty out there, but I was excited to make it. The entire vibe that I wanted to achieve, I feel we really did. I wanted the song to make you contemplate things. It deals with doubt and insecurity in your faith. It talks about the God of the unknown. I love that song because it works through some things that I’ve been thinking through. It was enjoyable to make. JASON: We only did one guitar track on that song too. MICAH: And we didn’t do any actual drums on that song, it was all programming. That was the only song on the record where we didn’t do real drums. SAM: Did your drummers still do the programming? MICAH: Yeah, she still helped with the programming and layout. But it was just fun. We got to be a little more out-there with it. SAM: Yeah, experimental. Cool! My Creator – I feel as I listen to it that there’s a sense of surprise and shock in the words. ‘What have you made?… You’ve made new life in me!’ Is that your feeling of salvation put into song? That surprise? MICAH: Yeah! You nailed it. That exactly what it is. That’s why that song is the most driving, energetic song on the record. It’s about the excitement of creation and new life. JASON: I think that’s another one too that didn’t quite turn out how we thought it was going to, in a good way. It came out a lot better than we had hoped. MICAH: Yeah. We had a lot of fun on that one too. The guitar parts in the bridge – it gets a little rock’n’roll. We’ve played it once live so far, and it was probably the most fun song we played. SAM: Does that just come with workshopping in the studio? You bring it in in one form, and you keep working on it? JASON: Yeah. I remember the guitar parts we had written for it and none of them even made it on that song. We just re-wrote it when we got there. SAM: And now you can release an alternate version one day, although it’d be the original! SAM: Now the title track, Orchestrate, it’s such a song of praise. It marvels at God’s sovereignty over all things. What’s the story behind it? MICAH: That’s another one that was a big surprise for us. MICAH: We wanted it to give you a really uneasy feeling throughout the song. The theme of the song, is that there are so many elements in life being thrown around, but in reality it’s this orchestra that God is orchestrating. You can find peace in that. If you listen closely there’s a morse code beeping going on in the intro and throughout the song. That morse code spells out ‘Orchestrate’. That was a fun little twist. SAM: There’s a scoop. The code’s been cracked! MICAH: Yeah! Don’t tell anyone. SAM: Now what happens if you play that code backwards? MICAH: Oh man, I don’t even want to think about that. That’s for you to figure out. SAM: Maybe something you could do on the next record… Now this album was made through crowdfunding, and you’ve released it for free through Come & Live. Why did you choose to go with those models for funding and release? SAM: That’s cool. And your fans have got behind you in the first place to fund the album – now it’s great you can share it with new and future fans too. Do you think you’ll follow that process for future albums? JASON: I think we will. MICAH: I don’t see why not. SAM: Great. The track Come All Ye Weary, it sounds like a call for many to come to Christ. Is that something you hope your music will do – help people meet and come to Jesus? MICAH: Yeah. I wanted to challenge both those who do believe in Christ to be like Christ and accept the weary and the meek with open arms, and to see it as a calling. And also in the same sense, I want people to hear those words: ‘Come all ye weary’ and know that through Jesus the burden can be lifted. JASON: I’d say given our past musical experiences and having grown up in the scene playing music that’s not Christian music with people who aren’t believers, it’s been a cool opportunity because we have friends who aren’t believers that will come up to our shows, and say our music is cool. They have no idea what we’re talking about, but at least they’re listening to it and finding it exciting. I’d say half the people at our shows aren’t believers. It’s been cool. MICAH: Yeah, potentially being able to bridge the gap between a community of people who are tired of the same old whatever from the “Christian” industry. Hopefully they see that we’re putting out the best music we can that glorifies God. SAM: And I think it’s excellent that you can bridge that gap, but you’re not hiding that you do have faith. MICAH: When I was thinking about how this project would look, I kept thinking that there’s so many bands that aren’t Christian bands, but they sing about what they believe. Whether it’s that their faith happens to be something else, or they are a Christian, we are believers and our music happens to speak about our love for Jesus. SAM: And there’s some crazy timings on that arrangement. I was counting – is it 7/8 on the verses? SAM: Is that just for fun, or…? MICAH: Yeah, I love throwing in the twist. It was really fun, and thought we could be a little different. MICAH: Yeah, we did the 7/8 verses, and then it switches back to 4/4 for the choruses. SAM: It’s a real prog-rock feel in a way. SAM: Is there a big idea or key message to Orchestrate? JASON: I think “Orchestrate” is kind of it. MICAH: Yeah. The world today is so complex. There’s so many elements. There’s so many questions out there. Hopefully you can listen through the record and get a sense of peace. That would be my hopeful takeaway. That you can put your faith in something greater than yourself. And hopefully that stems into loving people. SAM: You released this album on the cusp of the new year – December 30. What does 2015 hold for you guys? MICAH: Well right now we’re scheduling out the year. We have a few camps that we’re doing this summer. A few youth camps. JASON: Maybe we’ll go to Australia? SAM: Well if you come to Australia I’ll take you to Zambrero for lunch. JASON: Oh man, I’m in. MICAH: Yes! We’re still getting more and more opportunities. That’s what we did with the EP last year. We released it and we didn’t have much of an idea of what the year was going to be like. It ended up turning into a pretty crazy year for us. Lots happening. I’m anticipating hopefully something similar this year, and then some. So we definitely want to play as much as we can. 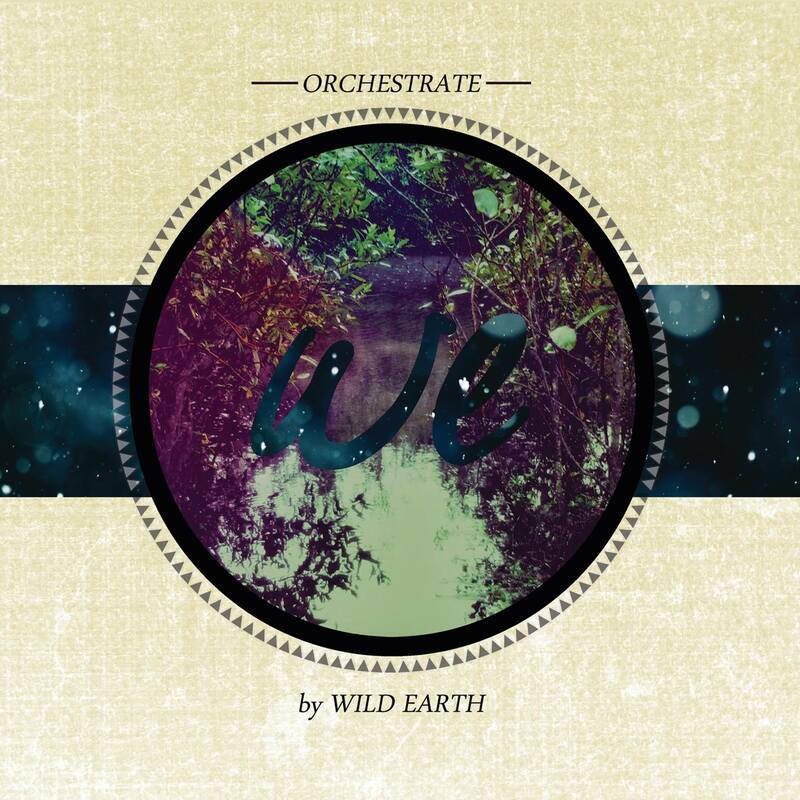 Orchestrate by Wild Earth is available now as a free download at Come & Live. You can also purchase the album on iTunes. Posted in MusicTagged Album, christian, Come & Live, Interview, Orchestrate, Wild EarthBookmark the permalink.